He opens the eyes of the blind, hallelujah! God, raised up an ARMY against the enemy! The Lord is raising up an army! He has raised up a standard against the camp of the enemy! When the enemy raises an army against you. Remember the mighty Name of The Lord! For He is mighty to save! Tell me who can stand before us, when we call on that Great Name?! At the mention of His Name every knee must bow, and every tongue must confess that He is Lord, and there is no one like Him. And if our God is for us. Then who could ever stop us?! And if our God is with us. Do not fear for we serve a living God, put Your trust in Him! Lord open our eyes to see what You see. Lord You said You reveal to redeem. Lord just like the prayer of Elisha I pray that you shall open the eyes of the blind in our generation. Heavenly Father the youth are being deceived because they are blinded by the lies of the enemy. Your children are perishing for lack of knowledge. 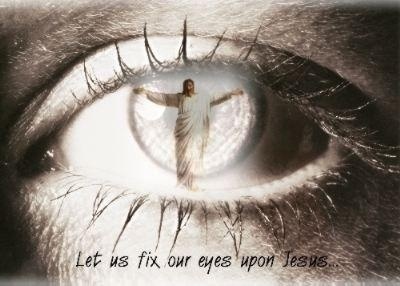 Open the eyes of our hearts Lord for we want to see You. Lord I want to take Your Word and shine it all around. Help me to bear Your very light Lord. Give us Your children the to boldness to speak forth Your very Word. Lord Your children are dying spiritually and physically. Lord pour Your very Spirit upon this nation. Spirit break out and break our walls down! Break down the walls of stubbornness! Break down the walls of confusion! The world is confused Lord. The world would rather believe the lie that deceives and delivers them into the hands of evil, of death. Lord open the eyes of our hearts. Lord cause us oh Lord to arise! Lord reveal Your truth to the world, Your truth that delivers us into righteousness and everlasting life. Open the eyes of the youth Lord. Lord forgive us! Have mercy on Your children oh Lord. The youth are being deceived. The world teaches the youth falsely. Reveal Your truth oh Lord. Save your children from addiction oh Lord! The world trusts in self. The world trusts in spirits that they foolishly believe removes evil spirits, they foolishly believe removes negative energy. Oh Lord they search for The Truth but help them to understand Lord that they can search the mountains high, the valleys low, they can consult mediums of old like those that did so in the bible but they can find No One Like You! For there is None Like You. No One Else Can Touch Our Hearts Like You Do. We Can Search Through All Eternity Lord And Find There Is None Like You. We Can Search Through All science Lord And Find There Is None Like You! We Can Search Through All the spiritualists of this world, in search for Perfect Peace and Find That None Can Compare To The Perfect Peace of The Lord. Oh Lord reveal Your truth to Your children for they put their trust chariots, and horses, things in which You said would fade but Your very Word remains forever the same! Oh Lord reveal Your truth to Your children for they put their trust in the lusts of this world, rather than in Your true and honest love. Oh Lord reveal Your truth to Your children for they put their trust in spiritualists that they believe removes ‘negative energy’, but they fail to understand that any spirit that is not of The Spirit of The Living God is an evil spirit! Open our eyes to see Your Truth that the world is so desperately in search for. Raise up an army from heaven oh Lord and establish Your Lordship! Blind the camp of the enemy! In the Mighty Name of Jesus! We put the camp of the enemy in total disarray. We confuse the very plan of the enemy. The arrows that they sent to destroy this nation we cancel and destroy in the Mighty Name of Jesus! We send those arrows of destruction right back to the camp of the enemy in the Mighty Name of Jesus! I come against the plans of the enemy across our nations in the Mighty Name of Jesus! They shall know The Truth and the Truth shall set us free! Children of God we must intercede on behalf of our nations. Remember that we all once was lost, confused, enslaved to sin, but now we are found, we know The Truth, we are free! Open the eyes of the blind Lord, save them, and teach them Your Truth, Your Truth of Love, Your Truth of mercy. Despite the plans of the Syrians to rise up against the Israelites. The Lord did not destroy them. How many of us understands that The Lord does not come to kill, steal, and destroy? No, that is the work of satan. What The Lord destroys are the works of the enemy. We fight not against flesh and blood but against the dark powers, forces, principalities of the enemy. It’s not by our strength nor is it by our power but by His Spirit. The battle is not ours it is The Lord’s. Sin is what God hates. Righteousness is what God loves. An obedient heart is what God loves. A disobedient heart is what God hates. Blasphemy is what God hates. But His Love is universal, for those that are saved, and for those that are lost. He will show His loving kindness to both the saved and the lost. It is only by the Spirit of The Living God that blinded eyes will be opened. It is only by the Spirit of The Living God that hardened hearts shall be unhardened. His love sets the captives free. The steadfast love of The Lord never ceases, His mercies shall never come to an end. I thank God for His mercies. I thank God for His forgiving heart. The many chances He gives us to repent. He sent His only Son to die for us and yet people are still refusing and rejecting His love. Do you know that on that old rugged cross He weeped for the lost? Do you know that He still weeps for the lost? He weeps for those that are perishing.